Team building activities that are fun, memorable, and powerful. These are not your typical team building activities. Each item on our menu is designed to engage and excite your staff like never before. Simply add any of the team building experiences below to your next offsite meeting or retreat! 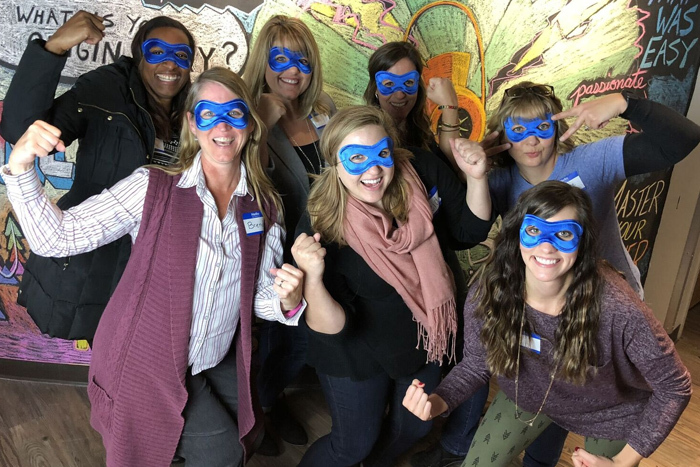 The Superpower Hour — led by sparkspace founder Mark Henson — is a fun, interactive team building experience that leads to discovering the superpowers of everyone on your team. This mini-workshop includes an exercise to pinpoint each person’s top 3 superpowers, and everyone will receive a copy of Mark’s book, Ordinary Superpowers, so they can continue to explore their powers long after the session is over . 40+ people, contact us for more info. An incredibly fun and powerful team building experience using improv acting/comedy techniques (like the TV show, Whose Line is it Anyway?). 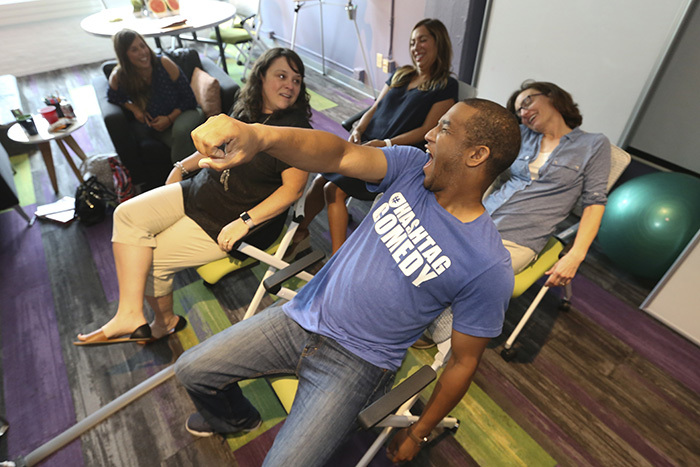 In this immersive workshop, our partners from Hashtag Comedy lead you through the improv principle of “yes, AND…!” to improve everyday creativity and communication in the workplace and life. This one-hour experience engages your entire team and is perfect for both extroverts and introverts! Laughter guaranteed. 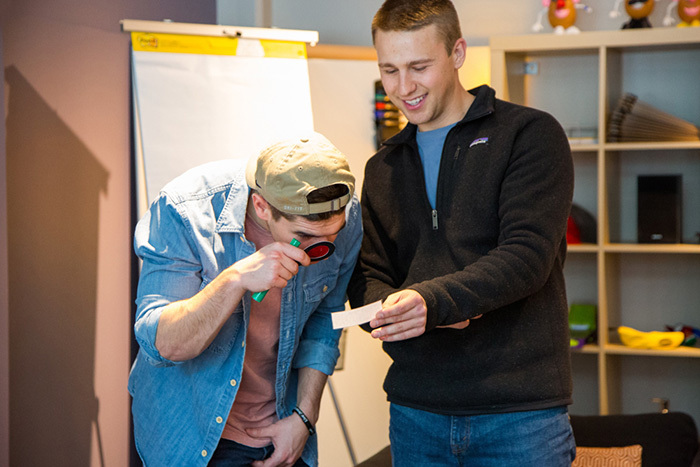 A premium team building challenge that encourages collaboration and communication. Each participant’s unique strengths will be used to solve a high-stakes, interactive puzzle while racing the clock. This activity includes a professional Trapped Columbus escape room actor to facilitate the experience. 30+ people, contact us for more info. 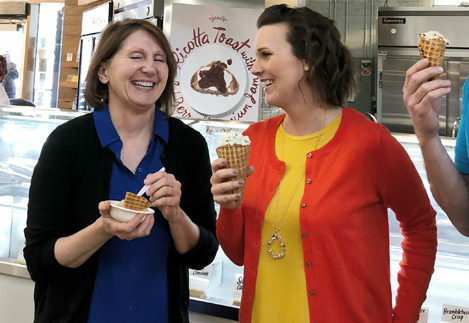 An engaging team building lunch experience that takes you on a culinary excursion throughout the North Market, an iconic food destination right in sparkspace’s backyard! Have fun exploring the vendors for lunch and using all your senses to complete a “foodie adventure” with your team.